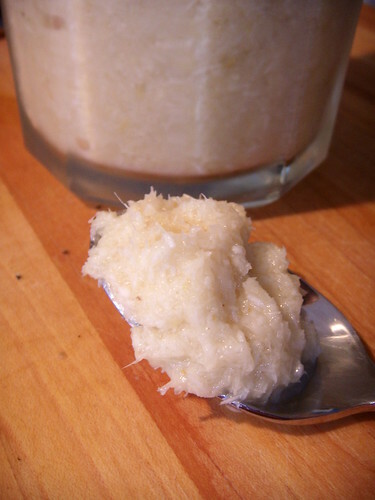 harvested horseradish, originally uploaded by aarn! +11th August, 2008+. dug up some horseradish root, washed/peeled it, chopped it up. ground root with ratio of 1 cup of root to 3/4c. white vinegar, 1/4t. salt, and 2T sugar. shouldn't have used the smaller roots, they gave the mixture a bitter flavor and it ended up not being hot at all.